Bucharest, Romania's capital city since 1862, is one of the oldest and most beautiful cities in all of Europe. Blessed with a great sense of pride for being the Romania's largest city, Bucharest's exciting culture cannot be ignored for it comes across as a blend of neo-classical, communist and modern architecture. Before you get on board the flight to Bucharest, it's wise to have hands-on information concerning its seasons: spring and autumn. This season definitely seems to be the best one for flying to stunning Bucharest. You never know when it might start raining cats and dogs, so don't forget to carry an umbrella to prevent yourself from getting wet. Of course it's wise, don't you think so? But you wouldn't have a problem in traveling as the temperature sits on an average of 15 degrees. Located on the Romanian Plain, the city of Bucharest may experience chilly winds letting the temperature freeze drastically during winters. Summer, on the other hand, goes dry and hot with temperatures burning at 26 degrees. Looking forward to lazing around on a sunny day? Or, shaking a leg or two is what you intend to do at one of the sparkling music extravaganzas, a cheap flight to Bucharest can be taken at any time of year. The summer season in Bucharest is packed with tourists from far and wide wanting to capture the best of what the city has to offer. The summer sun can be felt at its best. This is in fact the busiest festival season in Bucharest. Planning to visit one of the Europe's most beautiful cities in the summertime? Don't forget to make travel reservations much ahead of time. You don't want to miss the festive season, do you? A bit damp Bucharest weather is what you'll appreciate letting you book cheap flights to Bucharest. Surprise yourself being a part of the bunch of arts festivals hosted by spectacular Bucharest. Don't miss the Bucharest International Film Festival taking place in April and the EuropaFest in May. You would find every reason to believe why Bucharest is home to the world's second largest building, the Palace of Parliament. Known after Washington DC's Pentagon, this magnificent structure is, at present, home to the Romanian Senate. Make sure that this giant building is included in your "to-do" list. This Palace is a must visit as it stands testimony to the artisans blessed with exceptional skills. After a journey back in time? Visit Calea Victorie, one of the oldest surviving streets in this gorgeous European town. Brȃncoveanu, the Prince of Romania in-power way back in 1692, ordered the first planks of oaks to be laid. A leisurely stroll taken down Calea Victorie is simply the best way to discover the city's as per one's convenience. A London - Bucharest flight will transport you to the Romanian capital in 3 hours and 15 minutes. Many not only from the UK but every corner of the world have been initiating a plan worth exploring the city that's simply loaded with sights, sounds and attractions. Bucharest is picture perfect for an extraordinary weekend break. Well there's a lot to do and see if you don't want much time to rest but exploring the city at its best. You'll be entertained for as long as you'll be in Bucharest. This stunning European town has been on every traveler's mind for a perfect short weekend break. 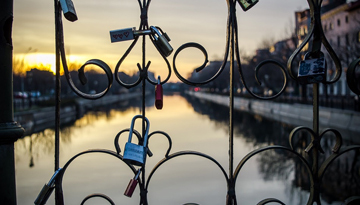 Bucharest will surely capture your interest in plenty of ways you can possibly think of. Its incredible attractions are the ones that will keep you coming back for more and more. There's simply no shortage to the number of attractions hidden in various corners of the city. Once in the city, bring them to life in order to feel their irresistible charm deep inside. Well Bucharest attractions are just one entity encouraging tourists to compare flight tickets to Bucharest from all around the world, but there's a lot more than these highlights you don't want to miss. Shopping, dining and nightlife are what will add charm to your city break, which you never know, could be converted into a long holiday. The Village Museum - Are you a history buff? You don't want to miss the Village Museum highlighting the Romanian history from pre-historic times until the present time. 50 buildings dating from different eras of the history of Romania is what you'll find allowing you travel back in time. Spend on some artifacts for those sweet memories you'll be carrying back home. The Botanical Garden - Take a break from museums and make way to the Botanical Garden. This exotic garden boasts over 10,000 fragrant plants which are on display. Arch of Triumph - After Romania gained its independence in 1878, its first wooden triumphal arch was built in haste. It's in fact one of the monuments that were built to commemorate Romania's participation in the WWI. Curtea Veche - No trip to Romania is complete if one misses the Old Palace of Vlad III Dracula. Located right in the city centre, Curtea Veche or the Old Princely Court was built as a place or residence when Vlad III Dracula was in reign in 1459. Bucharest History and Art Museum - Do visit this museum featuring some 300,000 artifacts, from books, maps, coins, arms and furniture, paintings, engravings to old traditional furniture. Bucharest is blessed with a continental climate. The weather in the Romanian capital is characterised by cold winters (December to February) and hot summers (June to August). Experiencing temperatures below 0 degrees Celsius, the weather in Bucharest can get breezy in the winter time. As far as summer temperatures are concerned, prepare yourself to experience an average of 27 to 29 degrees Celsius. Bucharest is undoubtedly one of Europe's most beautiful cities that have long been catching the attention of passionate tourists from far and wide. 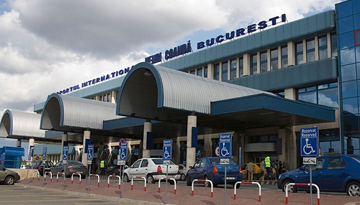 We recommend to visit Bucharest for enjoying your holidays by comparing discounted flight tickets listed above. You can run but you cannot hide from the stunning Romanian capital as it'll get you good. Have a trip of a lifetime in Bucharest! Air France offers low-cost flights to Bucharest from London - price starts from only £89 as One Way. 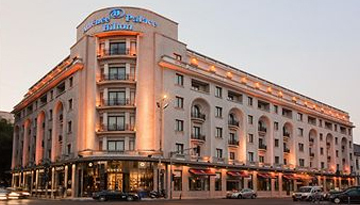 Fly from London - Bucharest & Stay for 5 nights with 4 star accommodation. Include Room Only.